Butler Home Improvement is an industry leader for interior and exterior remodels, as well as, home improvement services in St Louis and the surrounding areas. We are woman owned and locally operated, and our team or professionals proudly serve the St Louis area with high-quality patio covers and enclosures, acrylic roofs, siding, sunrooms, and more! 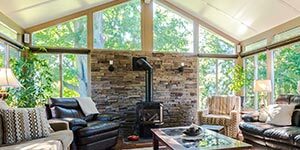 For over twenty years, Butler Home Improvement has been expertly improving homes in the St Louis area through affordable custom-built solutions. If you’re looking for an excellent home improvement service in St Louis, look no further than Butler Home Improvement. From the first point of contact to the very last home improvement walk-through, the Butler Home Improvement team guarantees 100% client satisfaction to property owners in St Louis. Whether we are remodeling your bathroom or installing retractable awnings, Butler Home Improvement’s white glove service is our promise to provide you with care, choice, and craftsmanship. We offer hassle-free quotes, financing options and double the labor warranty of our competitors. With over two decades of service experience behind us, you’ll see why Butler has received numerous awards for our St Louis home improvement services. 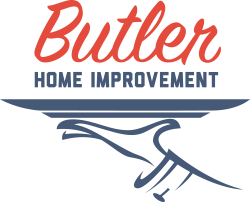 To get started on your next home improvement project, contact Butler today! 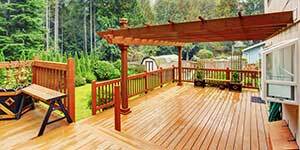 Butler Home Improvement specializes in a complete range of interior and exterior remodel and home improvement services including SlideClear Doors, acrylic roofs, bathroom remodeling, kitchen remodeling, sunrooms, retractable awnings, decks, siding, patio covers and enclosures, and window installation for residents in St Louis and the surrounding areas.